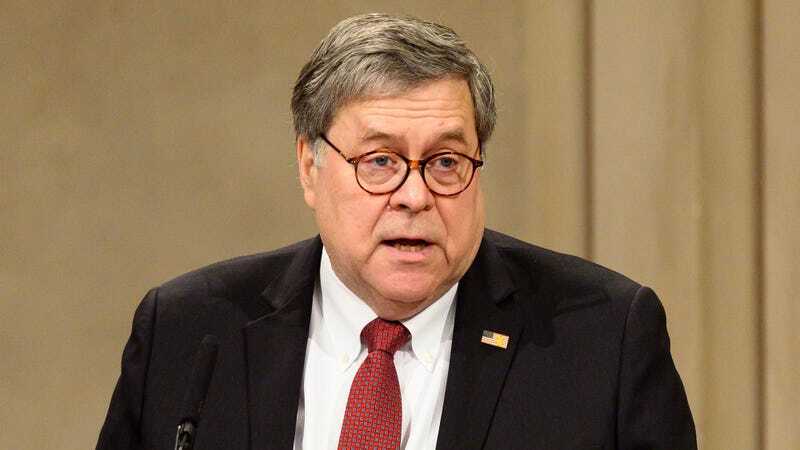 WASHINGTON—Following the completion of the special counsel’s 22-month probe, Attorney General William P. Barr declared Monday that Robert Mueller’s investigation fully exonerates all members of Ronald Reagan’s presidential administration from involvement in the Iran–Contra affair. “I’ve reviewed Mr. Mueller’s findings and have determined conclusively that neither the late president nor any White House or Cabinet official serving between 1981 and 1989 ever ordered, oversaw, or even knew about the covert sales of American arms to Iran,” Barr said in a letter to the House and Senate judiciary committees, clearing key figures such as retired National Security Adviser John Poindexter and former staffer Oliver North in a move that finally lifts what many have seen as a dark cloud over the scandal-plagued presidency. “I assessed this report carefully and can at long last say with full certainty that Caspar Weinberger, Robert McFarlane, Elliott Abrams, and all others in the president’s inner circle operated lawfully from the time of the initial dealings in 1981 until the illegal arrangement was exposed five years later. From the 1985 diversion of funds to Contra rebels in Nicaragua, to Reagan’s untruthful 1986 denial of an arms-for-hostage trade, to the flagrant destruction of countless documents relevant to the investigation, everyone acted properly and with the best interests of the United States in mind. It is my hope that the country can now move forward and put this unfortunate episode behind it.” At press time, sources reported that Democratic leaders in Congress were still discussing a possible push for President Reagan’s impeachment.